Another simple sandwich that goes a long way! Slice bread thinly. Spread with a little Mayo (don’t overdo. Creates a soggy sandwich!) 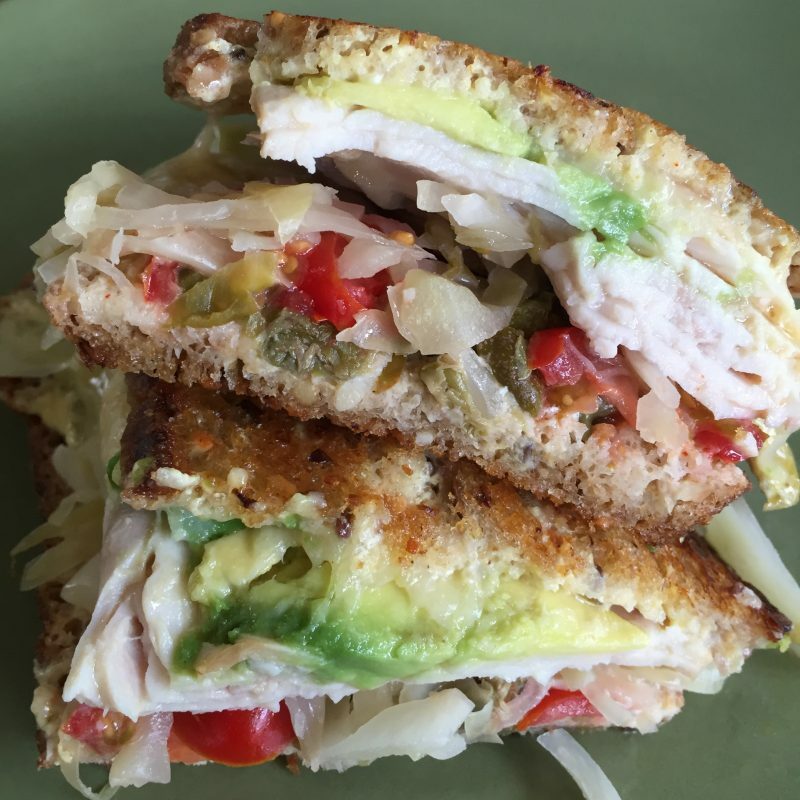 Stack the cheese, tomato, turkey, sauerkraut, capers, avocado on the sandwich. Spread each side with a little ghee and grill until golden brown. You can turn the heat down a little and cover to be sure to heat it through.